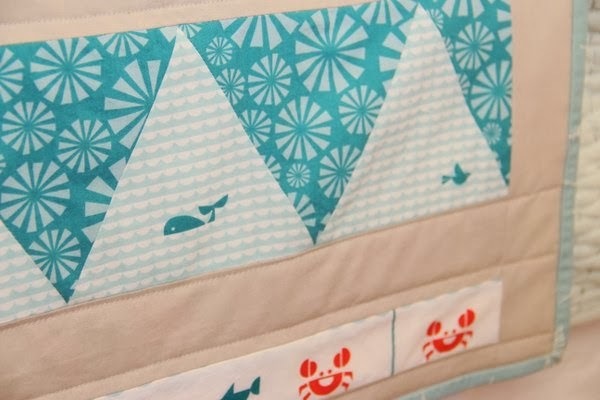 The perfect collection of fabrics for a boy's quilt comes to you in a seafaring collection by Dan Stiles. 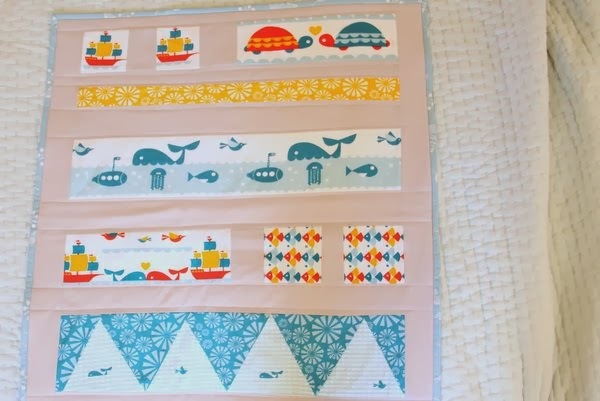 Marine Too, the sequel to Marine, sees the return of the popular Whale Love print, and the addition of new exciting subaqueous animals and to boot! 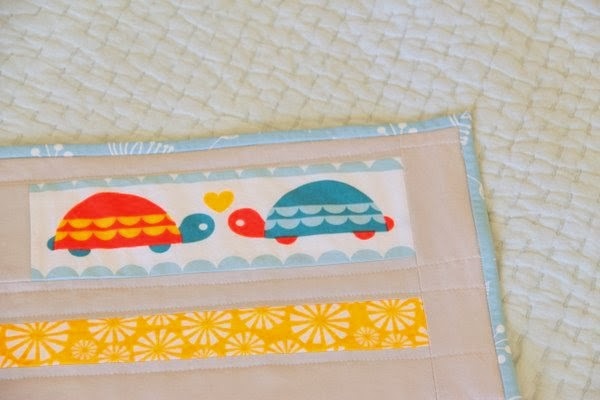 The palette is fresh and the perfect fabric choice for a boy's quilt. 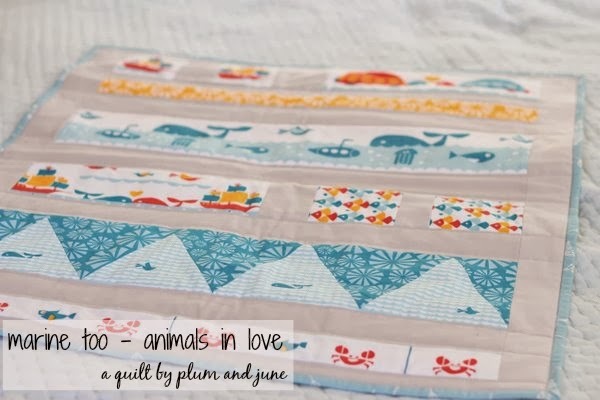 Check out this adorable quilt that Beth is so kindly sharing with us today! With all the adorable prints in Marine Too, it is difficult to decide which ones to use. Here is an idea that features several of the prints so you don't actually have to decide! I've written approximate measurements below but I really want to encourage you to use them just as "approximates." I purposely designed this quilt to accomodate whatever size fussy cuts you want to use so just have fun choosing your favorite part(s) of each print. My quilt finished at 24" x 30 1/2". Notes: All seam allowances are a scant 1/4". You'll need 3/4 yards of background fabric and a variety of prints for the doll size quilt with 2" borders. Start by making the triangle row. For my small quilt, I needed 4 fussy cut triangles, 3 blender fabric triangles, and 2 blender fabric triangle wedges. 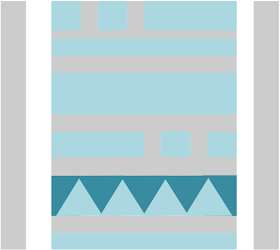 To cut the triangles from the blender fabrics, first cut a strip of fabric 5 1/2" x 18" and then cut the triangles from the strip. The triangles should measure 5 1/2" on each side (equilateral). When you cut the triangles from the fabric strip, you can either save the wedges (half triangles from either end) to use at the end of your triangle rows or you can just cut two extra triangles and trim them later (you'll need a longer strip if you are cutting 5 triangles.) The first way is less fabric waste but I think the second is easier if you are new to triangle piecing. Fussy cut your print triangles (5 1/2" equilateral) one at a time making sure that the print that you want to showcase is not lost in the seam allowances. Sew the triangles together in a row using either the wedges or triangles on either end. 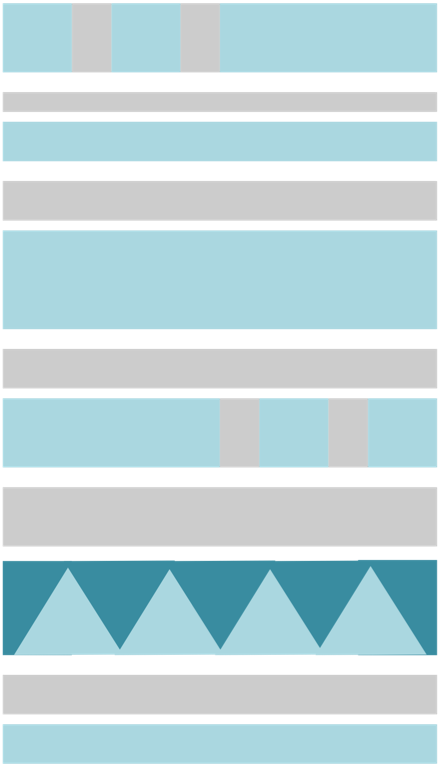 Trim (if using triangles on either end) and measure the row. This measurement will set the width for the rest of the quilt since you won't want to trim this row again. Mine was 20". 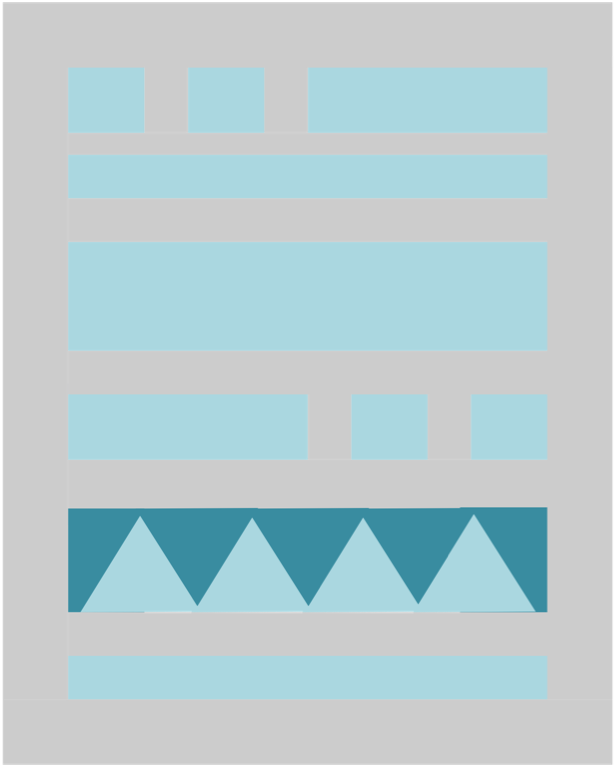 Next you'll want to cut your rectangles for the 1st and 4th row. 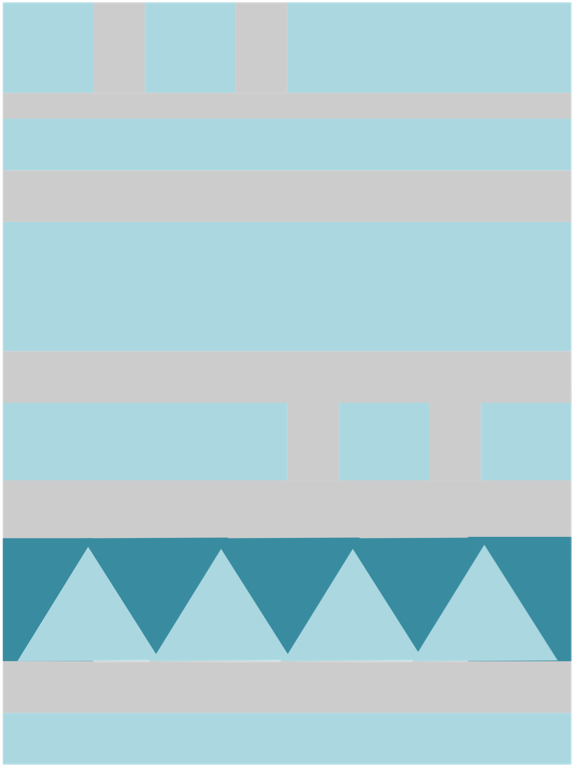 Fussy cut a rectangle that is approximately 4" x 10" and two small rectangles that are approximately 3" x 4". From your background fabric, cut 2 rectangles measuring 3" x 4". If your fussy cuts are smaller or larger then the approximate size, you'll need to adjust the background fabric measurement. Including seam allowances, this row should measure 4" x 22" before it is sewn together. 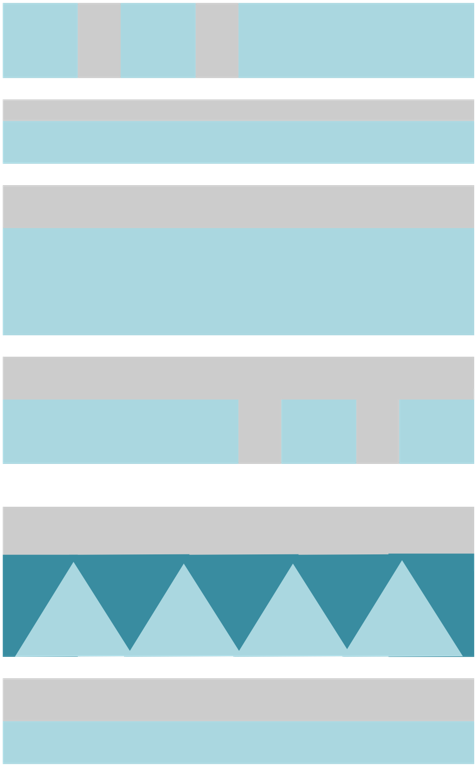 If your triangle row is more or less than 20", just adjust the size of the background pieces. Fussy cut the strips for rows 2, 3, and 6. Cut 2 strips measuring approximately 2" x 20" and 1 strip measuring approximately 5" x 20". From your background fabric, cut 5 strips measuring 2" x 20". 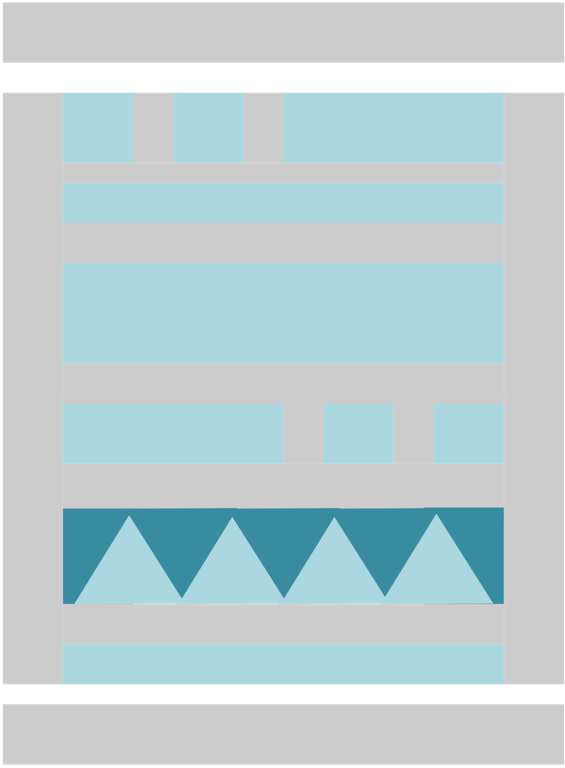 *Remember to change the width of the strips to match the width of your triangle row if it is more or less than 20". Again, if the height of your fussy cut row is a different size just vary the size of the background strips. 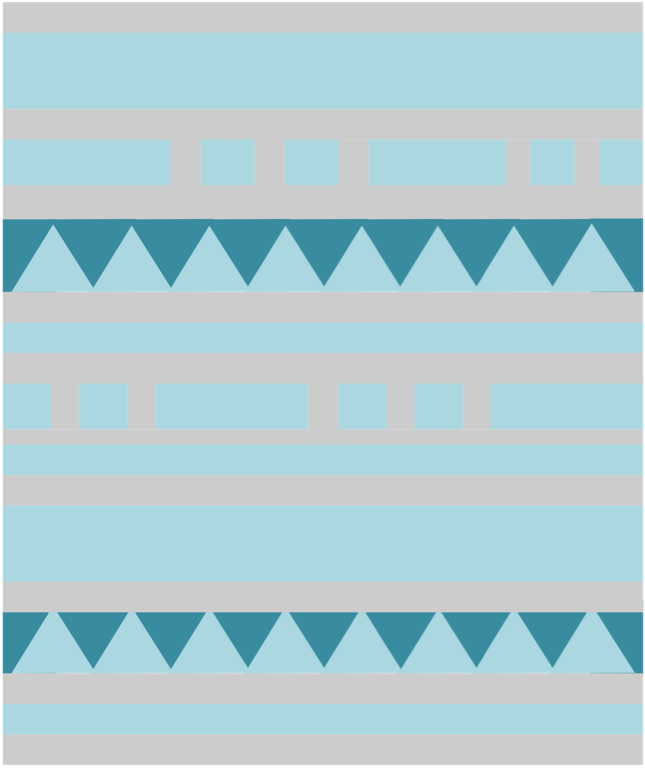 For example if your fussy cut for row 3 measures 4" instead of 5", just cut one of your background strips 3" instead of 2". Measure the height so far (since it may vary depending on how you cut your fabrics.) Mine measured about 32 1/2". Cut two strips of background fabric each measuring 2.5" x that measurement (32 1/2") and sew the borders to either side. Repeat the process for the top and bottom borders by measuring the width and cutting strips of fabric 2.5" x that measurement. For example if it measures 24" in width, cut two strips 2.5" x 24". And that's it - finish by quilting and adding a fun binding. I used a print from the recent Charley Harper collection from Birch. The simplest way to make this quilt larger would be to just increase the size of the border strips from 2 1/2" to whatever size you want. 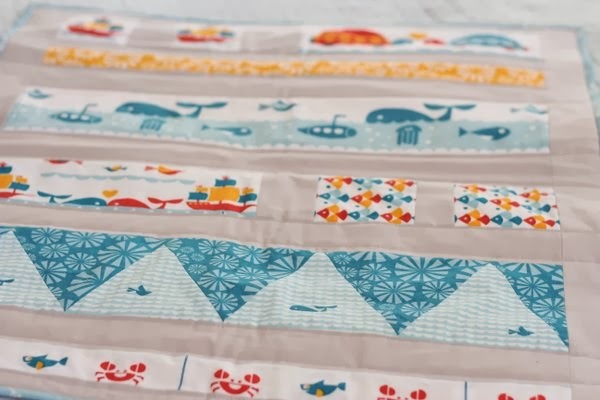 However, you can also easily adjust this pattern to make a baby size quilt without borders measuring approximately 40" x 52", you just need to use a little more quilt math.